The UK now has more certified international dark-sky places (DSPs) than any other country outside the USA. As an example, Moffat, in Dumfries and Galloway, Scotland, is now on the International Dark-Sky map. In February 2016 the International Dark-Sky Association (IDA) a awarded its Dark-Sky Community status to Moffat following the completion of an all-embracing exterior lighting master plan, the installation of more than 600 downward directed street lights and local commercial lighting improvements. Locally based lighting consultant Jim Paterson, driving force behind the team that made it possible, takes pride in the achievement, pointing out that this makes Moffat the first town on the UK mainland to achieve Dark-Sky Status. The islands of Coll and Sark are also Dark-Sky Communities. Several other areas, for example the Cranborne Chase Area of Outstanding Natural Beauty and the SW part of the Isle of Wight , may soon be joining the list. The Commission for Dark Skies has played its part in supporting these initiatives, taking dark-sky measurements, publicising the bids and offering advice. 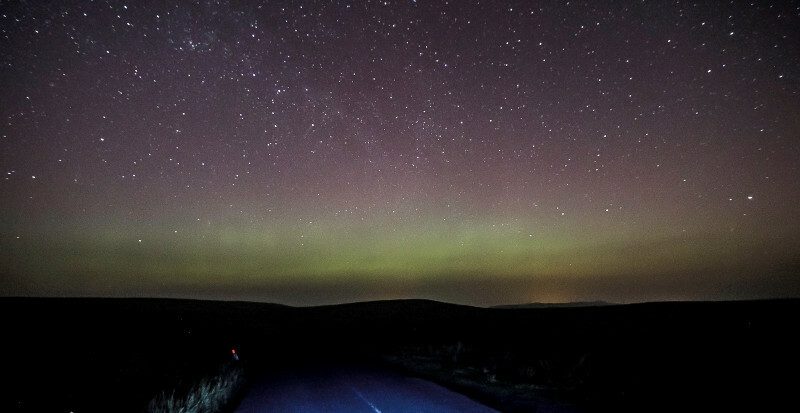 The CfDS’ aim, of course, is the optimum night sky throughout the UK, whether it be in remote wildernesses or urban centres, and it will continue to support the creation of dark-sky-protected zones while striving for star-quality lighting in all places.